The Notebook is a story-within-a-story: we first meet a nameless elderly man reading a story from a notebook to an elderly woman suffering from Alzheimer’s. The notebook tells the story of Allie and Noah, who meet in Noah’s hometown while Allie and her family are vacationing there. Their whirlwind romance is cut short by her return home, and though Noah writes her a letter every day for a year, none of them are answered. Fourteen years later, Noah returns from World War II and is reunited with Allie, who is now engaged to Lon. As the novel progresses, Allie is revealed as the elderly woman of the framing story—but the elderly man’s identity remains a mystery: the reader doesn’t know if Allie stayed with Lon or returned to Noah. The romance struck a chord with readers and viewers alike; the novel made the bestseller list the first week of its release, and was later made into a popular film starring Ryan Gosling and Rachel McAdams. 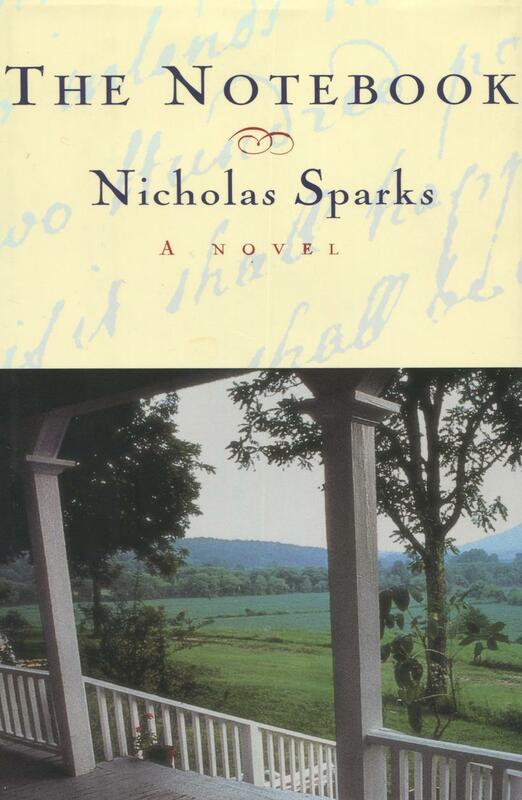 Nicholas Sparks was born in Omaha, Nebraska in 1965. He began writing in college, while studying finance at Notre Dame, after his mother suggested he write a book: “Your problem is that you’re bored,” she told him. “You need to find something to do.” His first book, a nonfiction account of a trip he took with his brother entitled Wokini: A Lakota Journey to Happiness and Self-Understanding, was published in 1990, but his career as a novelist didn’t begin until 1994, when his manuscript for The Notebook was pulled from the slush pile by a literary agent. The Notebook, which was inspired by his wife’s grandparents’ 60-year marriage, quickly climbed to the top of the charts, and eventually became a hit film. He has published many novels since, and 11 have hit #1 on The New York Times Bestseller List.